Excellent Surface for INDOOR Putting Greens . 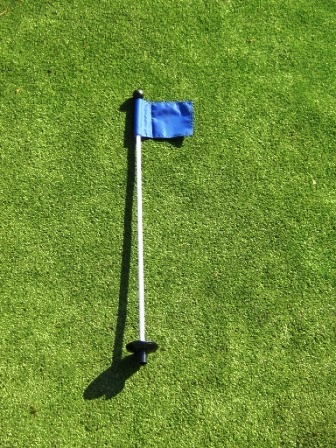 The 1/4" Surface is a "One-Putt" style green surface with a fast ball-roll speed. No in-fill sand is required! One of the main benefits of our poly greens, are its all around performance are unmatched. 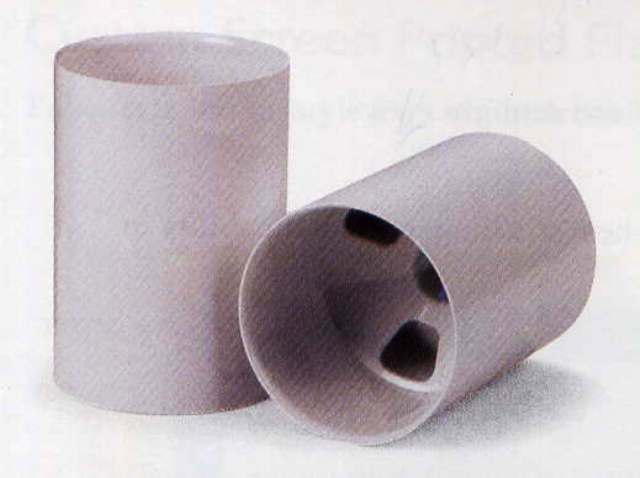 This 1/4" cut pile product is ideal for a direct glue down for permanently installed putting green. It is not made for a sand filled installation. 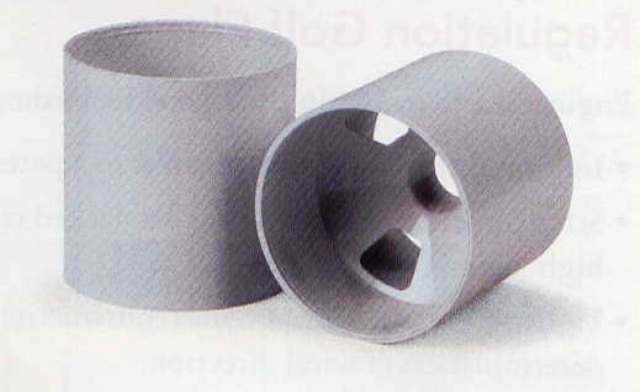 Do Not Use Infill With This Product! This surface is ideal for indoor putting greens with or with out undulations. The fibers are heat set during the manufacturing process at 230 degrees and will resist becoming matted down by springing back to their original upright position. 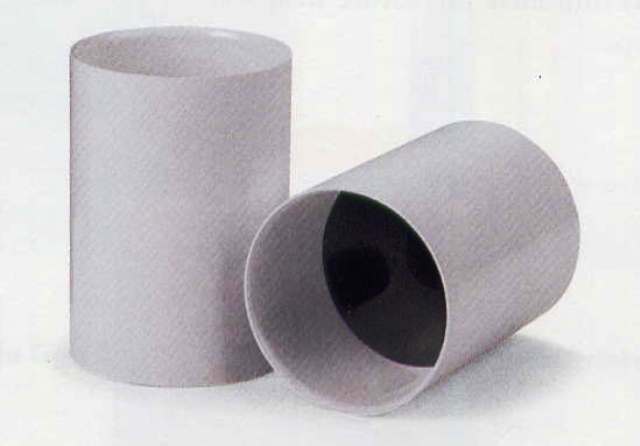 Polypropylene will resist fading and wear in all weather conditions. This 1/4 inch Polypropylene surface has been specifically designed as excellent omnidirectional [no grain or ball hop] fast putt speed turf. 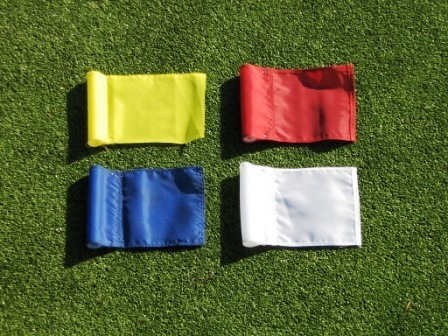 It is used for direct glue down indoor or outdoor applications like Golf, Soccer, Baseball, Bocce, Croquet, Paddle Ball, Futbal, Car Show Rooms & Exercise rooms. The weight of this material is 4.7 oz /per sqft. TJB-INC sells this material in 12' widths x (what-ever length you choose). IE: If you need a green that is 12' wide x 15' long, then enter "15" under quanity. This "One-Putt" material, when used as an putting green surface, it has a very fast roll (stimp) speed due to the short fiber length. Thus the name, "One-Putt" The 5MM (¼") High Elasticity Urethane Cushion helps with player fatiuge by cushioning the surface with no memory. 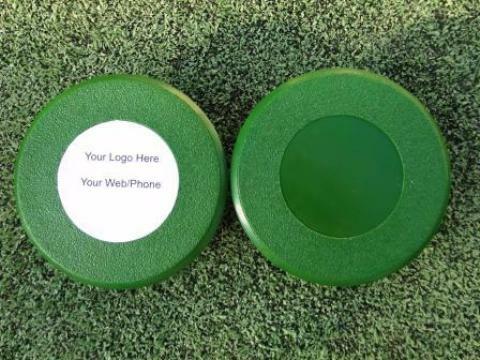 This putting green surface is the only one on the market today with no memory in the backing material. What this means, is for non glue down applications, the green surface can be rolled up an stored and then unrolled and the green will conform to the new surface undulations. We have sold this green surface to several high end hotel chains that "rent" strips of the One-Putt surface to their patrons for putting practice in their hotel rooms. This omni-directional polypropylene synthetic turf does not normally require maintenance after it is installed. The surface of your green can be cleared of debris easily, by either blowing, sweeping or vaccumning the surface. For indoor applications, the "One-Putt" surface can be vaccumned to remove any dust or debris that might impair the playing surface. NOTE: This surface only comes in 12' widths. If you need to seam two or more rolls together to create a custom size, it is strongly recommended that you hire a professional carpet installer to do your seams for you. Any local carpet store can give you the name of a local professional who can assist you in cutting & seaming pieces of this putting green surface together so you do not see the seams. 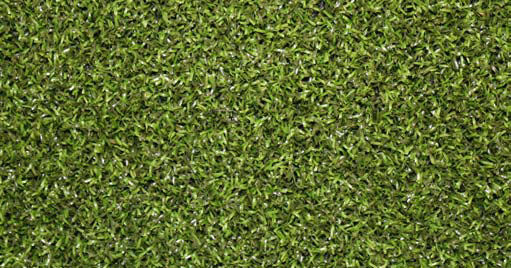 This Poly turf can be used for Golf, Soccer, Baseball, Bocce, Croquet, PaddleBall, Car Show Rooms & Exercise Rooms. Because of the new dense tufting method, TJB-INC can now provide a product with a true non-directional surface. 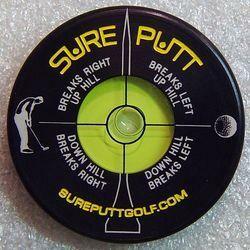 The best for putting greens and proven by the pro's. 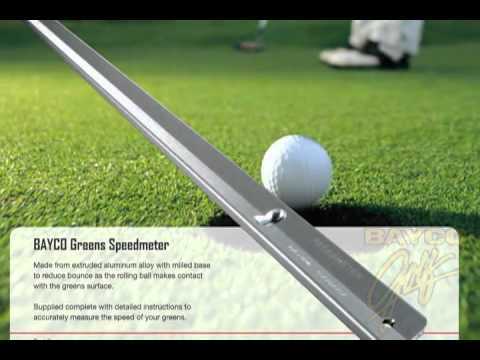 The ball speed and roll is identical to a real grass surface and is being installed around the globe as the premire putting green surface of choice by golf turf professionals. From Big-O of Braodview Hts, Ohio on 7/13/2015 . 3/31/2015 – How much will the price change if I want 12ft by 10ft compared to 12ft by 8ft? 6/22/2011 – When purchasing the material only, do you change the quantity to the length you want the material to be in? If not, how do . . .